This post is brought to you by AllWhites® 100% liquid egg whites but opinions expressed are 100% my own. 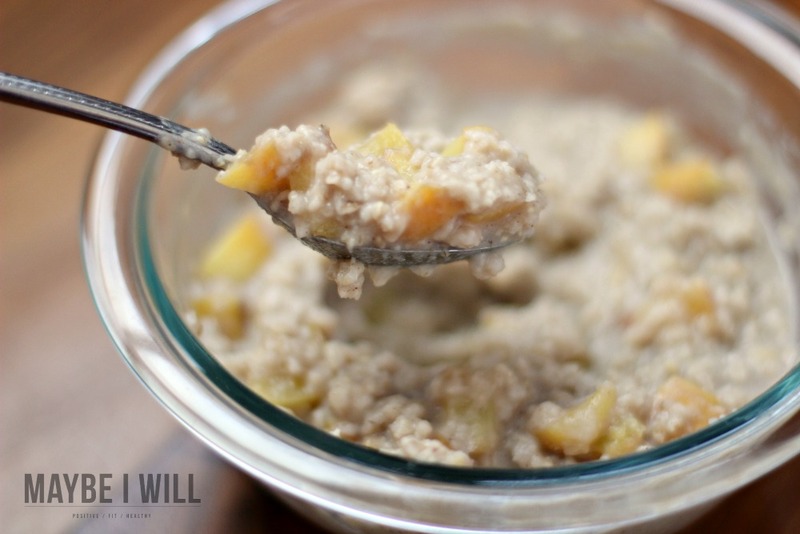 Fuel your body right, after a workout with this delicious and creamy peach protein oatmeal! 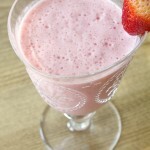 It is the perfect blend of carbohydrates and protein! 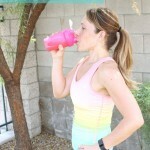 As a fitness nutrition specialist, I often get asked what is the best way to refuel my body after a workout. The opinions on this topic vary greatly. In my research and personal experience, the best way to refuel is with a meal of both carbohydrates and protein! 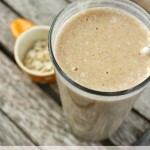 I love either a protein smoothie with some fruit and veggies throw in or my personal favorite protein oatmeal! 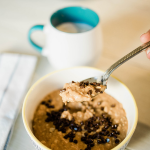 Oatmeal with added protein is #1 delicious and #2 a very filling and satiating meal to help your body recover from what you just put it through. 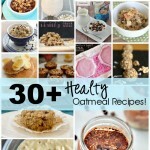 My favorite ways to add extra protein to my oats are a bit of protein powder and AllWhites 100% liquid egg whites. 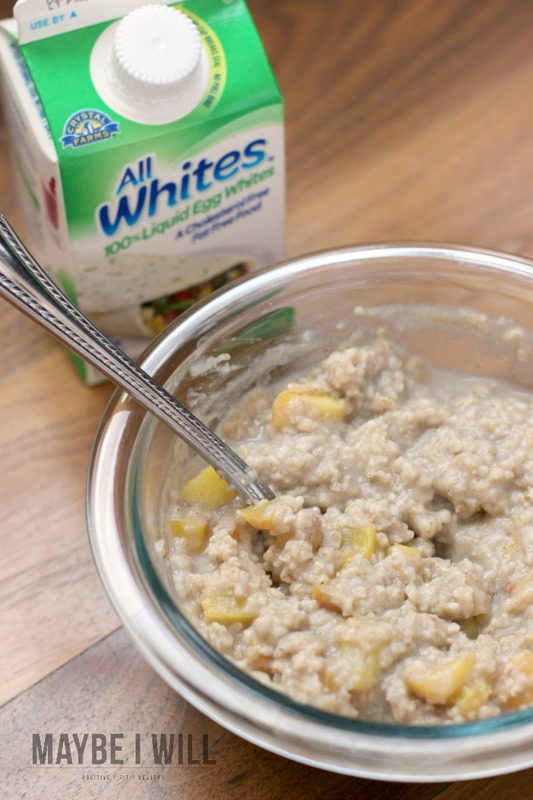 The egg whites although a surprising ingredient adds a very nice smooth and creamy texture to the oats that I love! 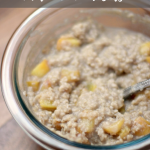 So next time you are looking for a delicious way to refuel – give this peach cobbler protein oatmeal recipe a try! Place all the ingredients in a microwave safe bowl and microwave for 3 and 1/2 minutes, I like to add a splash of Almond Milk to help thin it out a bit. This is an easy peasy recipe that will become your go to! It has for me especially now that we are in PEACH season in Utah! But if you’re not a peach fan feel free to use an apple or banana, even a scoop of pumpkin puree would be amazing in this! Get creative! I love using AllWhites® because they are super simple to use, you do not have to worry about haveing to separate the yolk out! I also love that they contain 100% real liquid egg white which are rich in protein, no cholesterol, no fat AND they are hHalf the calories of traditional whole eggs – a total win!! And since they are pasteurized for safety they are actually safer than traditional whole eggs. You can enjoy AllWhites®, uncooked, in salad dressing recipes, shakes, smoothies, desserts like tiramisu and more, without fear of food borne illness. Super cool, right! 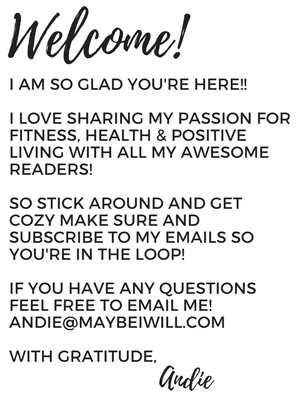 I am so excited to announce that AllWhites® wants to help you reach your health and fitness goals by offering a really fun giveaway for one of my amazing readers!! 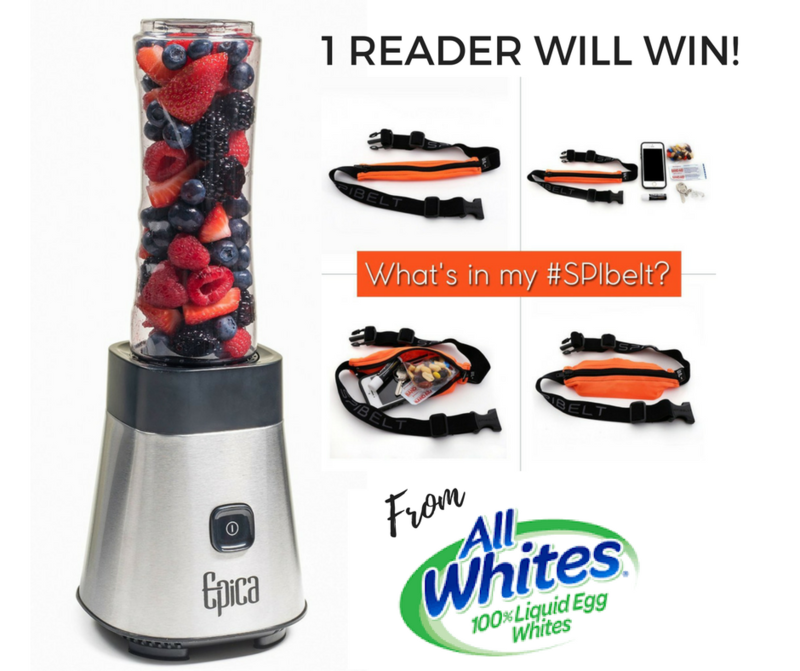 1 Personal Smoothie Blender and 1 SPIbelt running belt! This post workout oatmeal sounds delicious. While fresh summer peaches sound perfect, I also like your idea of using pumpkin. Right now I am lucky enough to be able to pick blueberries and raspberries along the trail that i run on every dy. YES! One of the things we were pleasantly surprised by when we move to Utah from Chicago 4 years ago was the abundance of fresh, locally grown produce! Especially corn and PEACHES! This looks like the perfect protein-packed breakfast! Adore using egg whites in my oatmeal and especially this brand because they don’t have anything but whites in it!! I like a peanut butter sandwich and a tall glass of chocolate milk. This sounds so good! I need to stock up on peaches before they’re all gone. 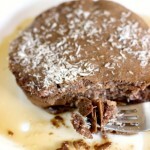 I probably wouldn’t add egg whites to mine but it will still be yummy and high in protein! I have been dreaming about these oats since I saw them recently on facebook. Dying to make them! 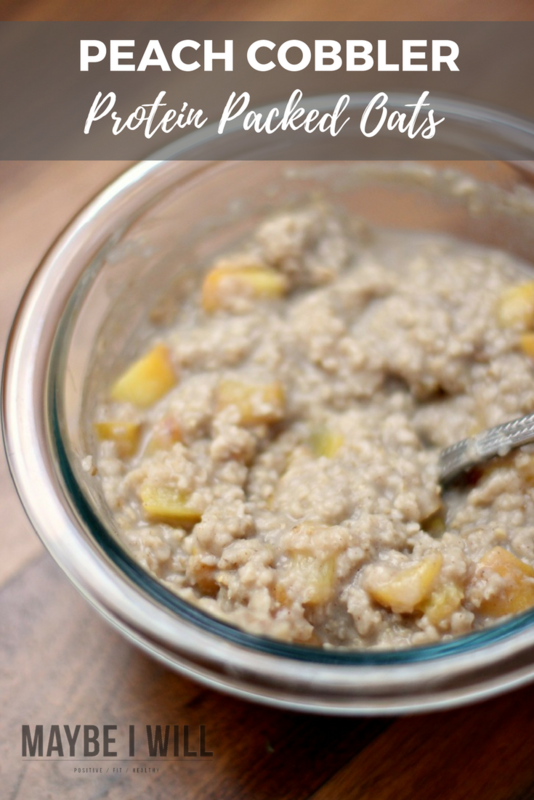 I would love to enjoy this peach cobbler protein oatmeal after a workout! Looks so creamy and delicious! Oh my gosh, looks AMAZING! I’ve been craving oatmeal in the mornings lately, so I definitely need to try out this recipe before Peaches go out of season. Can’t wait! This is post workout perfect! I love protein packed oatmeal, especially as days start getting cooler. This is comfort food, dessert, and healthy post work out meal all in one! I could refuel my body with this every day! It’s like having dessert for breakfast and I love that!